After designing the form, publishing it is very simple. 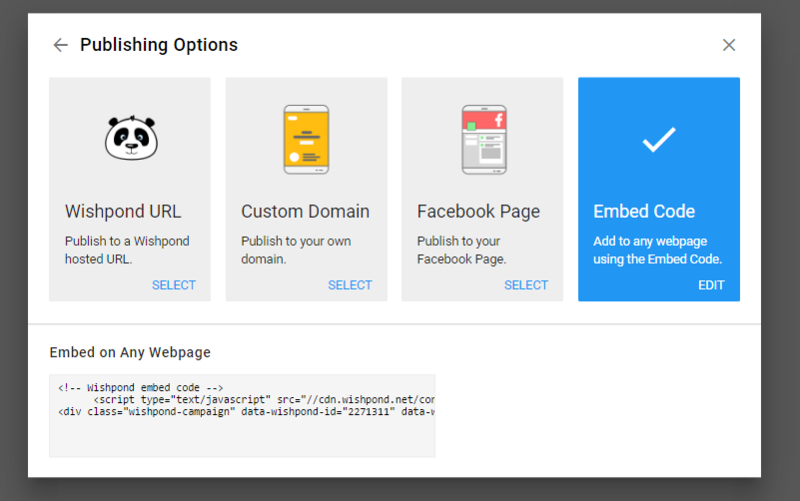 The embed code will be displayed, in which you will want to copy and paste this in the HTML source of the page you would like the form added to. This can include any Wishpond campaign, or your own webpage. 1. Wishpond URL - This will publish the form to a wishpond hosted url. 2. Custom Domain - This will publish the form to your custom web domain (Note: You will need to create a CNAME record in your web hosting domain and point it to wishpond.com to do this). 3. Facebook Page - This will give you the option to select your Facebook page and publish the form to that page.